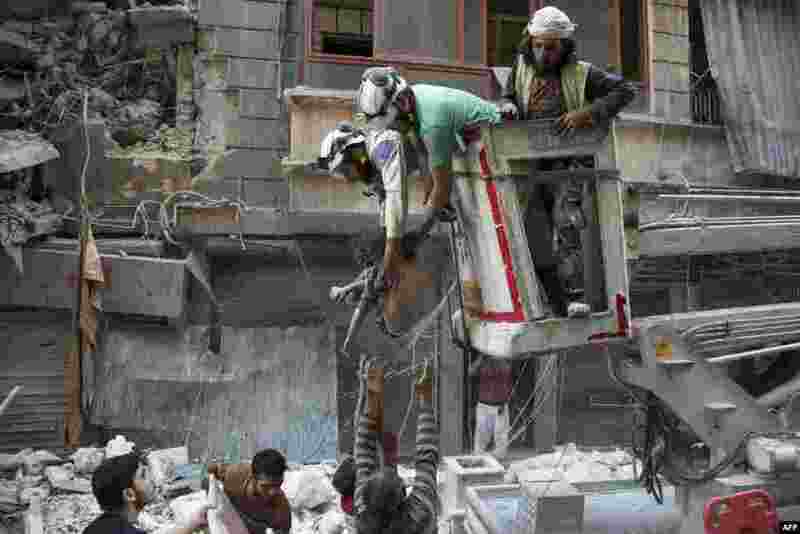 5 Syrian rescuers hand down the body of a girl to civilians on the ground after she was pulled from the rubble of a building following airstrikes by government forces in the rebel-held neighborhood of Al-Shaar in Aleppo. 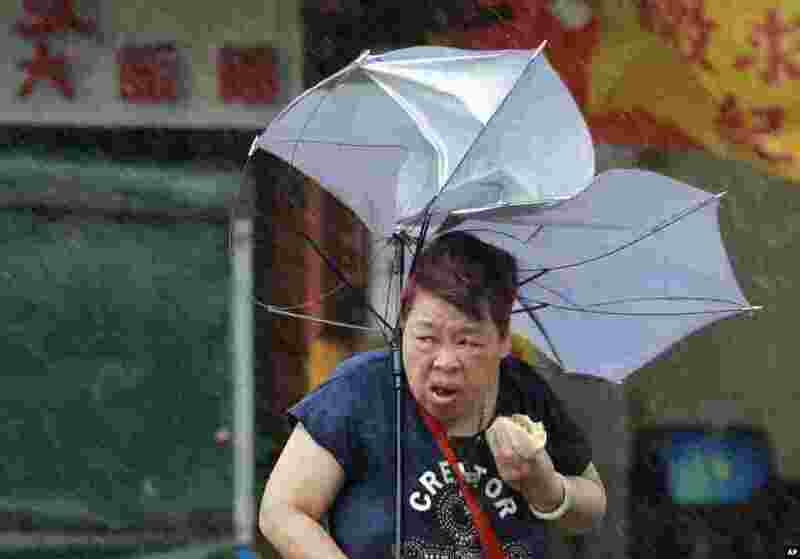 6 A woman struggles with her umbrella against powerful gusts of wind generated by typhoon Megi across the island in Taipei, Taiwan. Schools and offices have been closed in Taiwan, and people in dangerous areas have been evacuated as a large typhoon with 162 kilometers- (100 miles-) per-hour winds approaches the island. 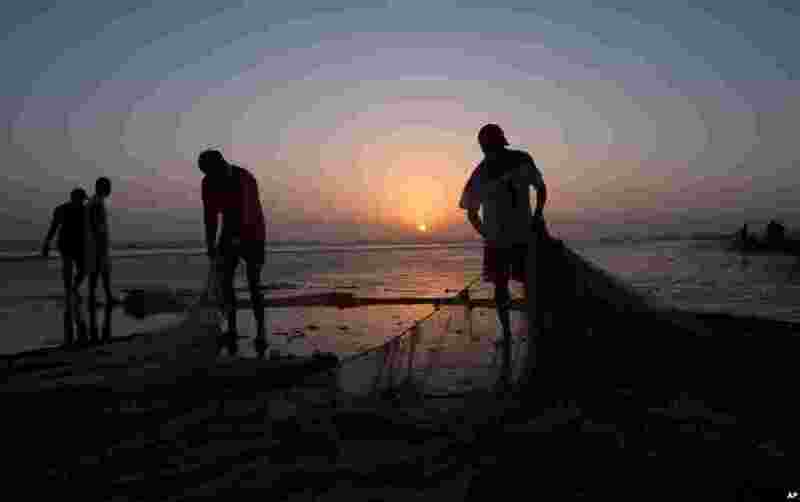 7 Pakistani fishermen sort out their nets at sunset on the coast of the Arabian Sea, in Karachi. 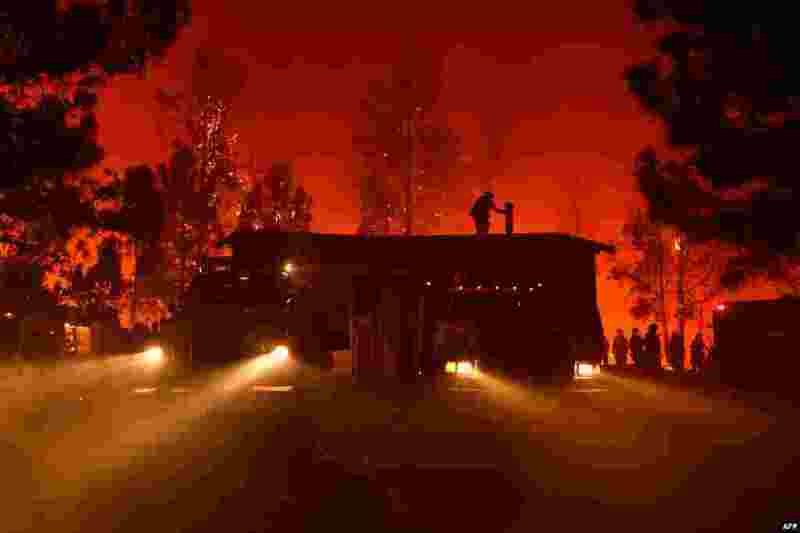 8 Firefighters attempt to save the Casa Loma Fire Station in the Santa Cruz Mountains near Loma Prieta, California. The Loma Prieta Fire has charred more than 1,000 acres and burned multiple structures in the area.